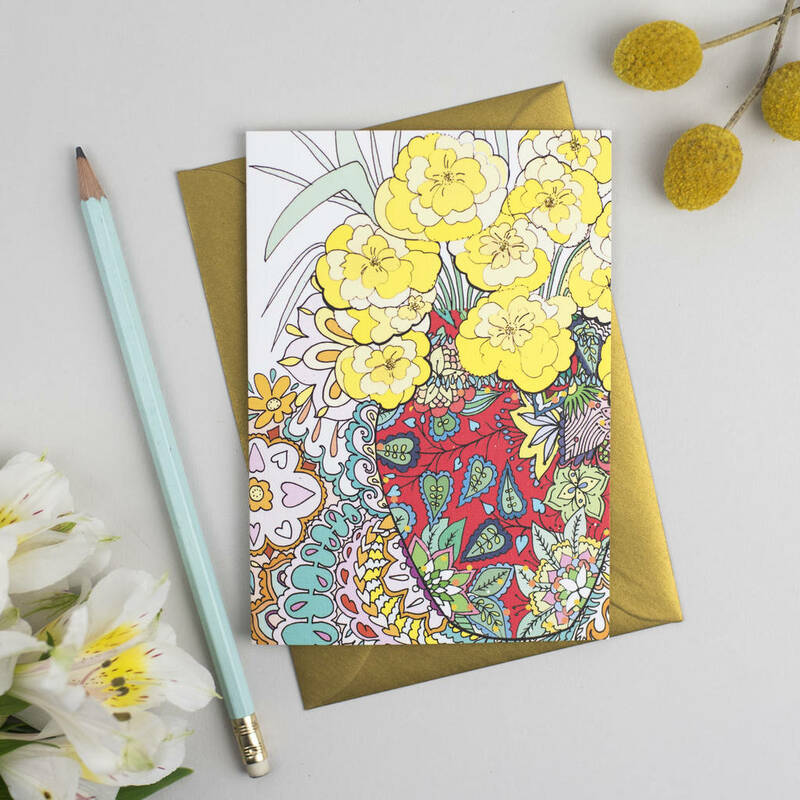 A pretty and intricately hand illustrated contemporary Easter card hand-finished with gold glitter. Left blank inside for your own personal message. This is a perfect little card to send at Easter with your best wishes. The card is designed on the very highest quality board from a specialist mill, and printed on a press to give vivid colours and a professional finish. A lovely traditional way to keep in touch over the Easter holiday. Blank inside. 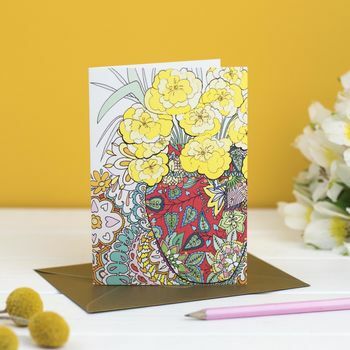 There are 11 new designs in this Easter card collection all taken from original illustrations by owner Fay Miladowska. 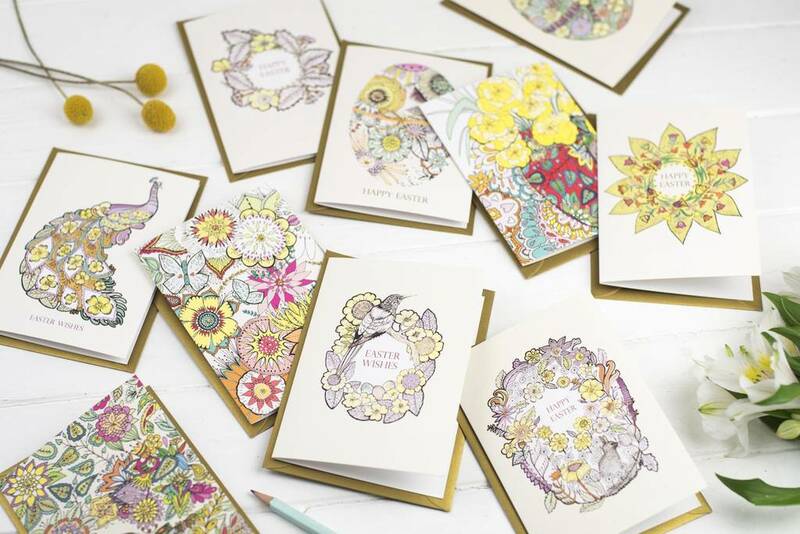 The range is full of vibrant floral designs. All of Fay's cards are professionally printed, and finished in-house at Fay's Lichfield based studio. The card selected for this range is a high quality 270gsm silkweave embossed FSC certified board. A golden envelope is wrapped with each card. The card measures 10.5 x 14.8 cm - 11.5 x 16.2cm with envelope and can be posted as UK letter. This product is dispatched to you by Fay's Studio.